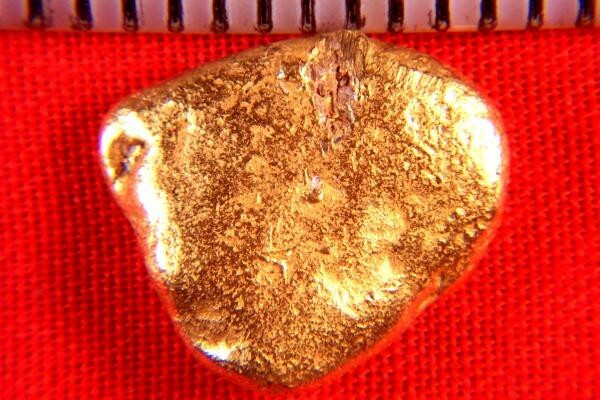 This natural gold nugget from Costa Rica is 9/16" (15 mm) long and it weighs a hefty 5.3 Grams (80.1 Grains). It has a smooth surface and it thin and flat, the kind of nugget that jewelers love to make pendants out of. The buttery gold color is indicative of a very high purity. 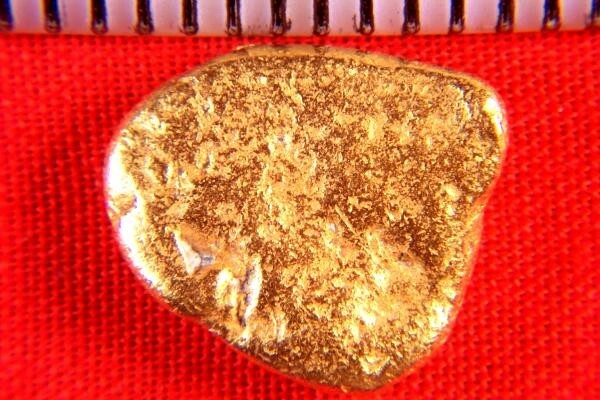 These natural gold nuggets from Costa Rica have a very high purity at 92% to 98% pure gold.